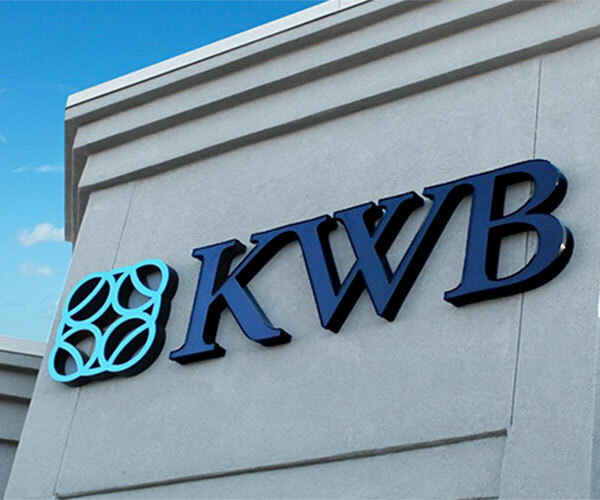 When you want your business and brand to stand out, choose an outdoor illuminated channel letter signage from Bannerz. 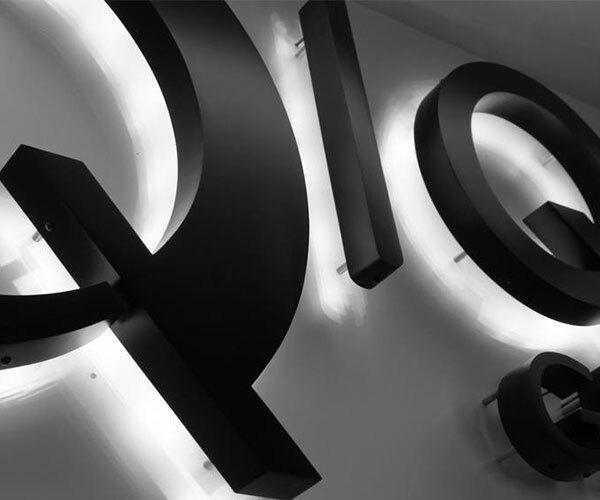 Unlike traditional fascia or cabinet signage, three-dimensional individual letters give your business the flexibility to accurately reflect your brand through colour, illumination options and construction materials. Constructed from high quality rust-proof aluminum or stainless steel and illuminated with energy efficient LED’s that is rated for exterior use. We will survey your building, provide you with a permit ready design, and handle any permitting that may be required. 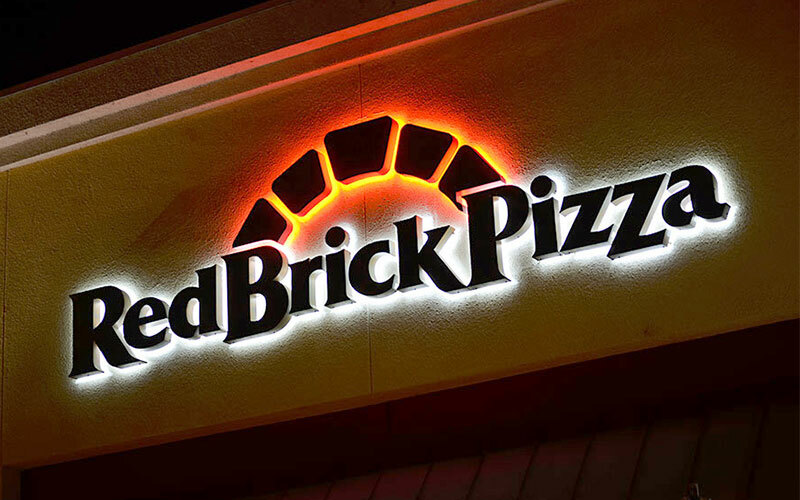 Our illuminated exterior channel letters signs are available in a wide variety of illumination and material options. 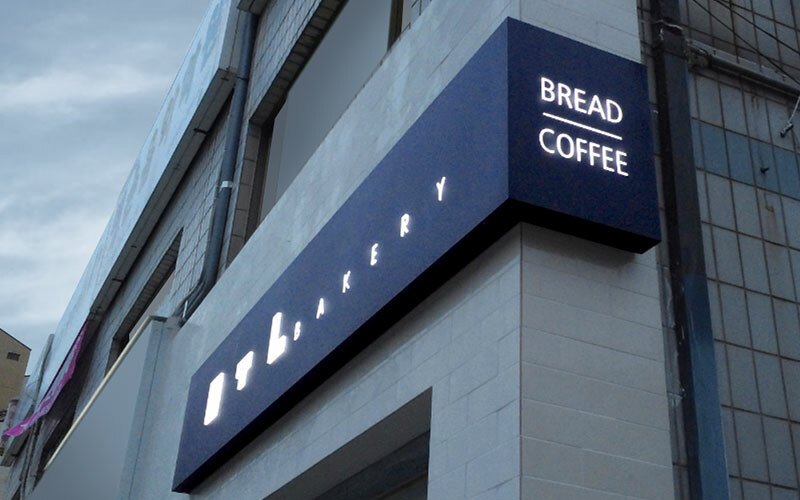 Face Lit Channel Letters are by far the most common form of illuminated signage and as the name implies, consist of illumination through the face of the letter only. This three dimensional fabricated signs are mostly made out of aluminum sheets and colored acrylic faces, illuminated from the inside with LEDs. Bold, bright and easy to read from far distances. Possible to be formed into any shape, logo or font to match your business’s unique branding. All of our signs use only the highest quality materials along with field-proven components when producing your sign. For an added dimensional effect, the letters and logo can be be cut out of the face and then raised acrylic letters push through the face. It’s completed with a translucent acrylic backer in your colors. Low voltage LEDs assembled inside light up the push through acrylic letters. Sides and face of letter are illuminated, while the surrounding sign face is not (meaning letters stand out prominently). Reverse channel letters also known as back-lit or halo-lit channel letters creates a visually striking halo effect. Letters are reversed and light emanates backwards toward the wall, perfect for a more elegant sign presentation. Reverse channel letters can be constructed of a variety of materials and finishes including: Brushed metals (aluminum, bronze, gold, ext. ), stainless steel and painted aluminum. Visit our showroom to see all available material finishes. 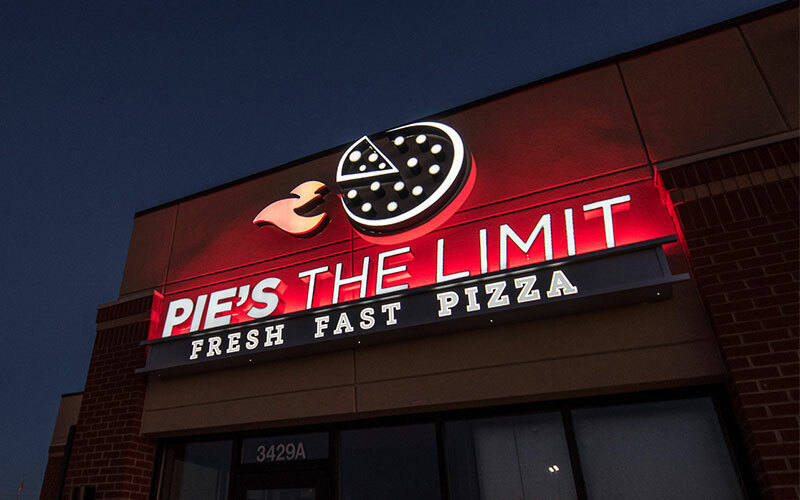 Combination channel letters can incorporate face-lit, halo-lit, or creative illuminated raceway backer for fully customized sign. The possibilities are endless — neon highlights, color-changing LEDs, non-illuminated, perforated returns, day/night vinyl, custom shapes, textures, vinyl overlays, paint colors and finishes. Non illuminated Channel Letters are individual letters that are not internally illuminated. Non-illuminated is a more cost-effective option for businesses that run regular (9:00 – 5:00) business hours. 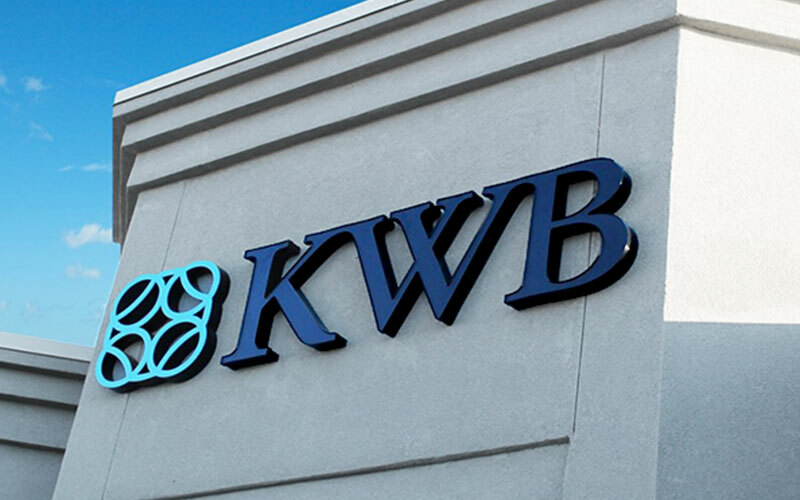 This type of signage can be manufactured from flat cut out aluminum, acrylic, and non-illuminated channel letters. Signs can be customized to any font style or logo with a smooth, laser-cut edge. Non-illuminated letters are available in a variety of materials, including brushed or painted metal, stainless steel, and other high-quality metals. Build once, Built to last. 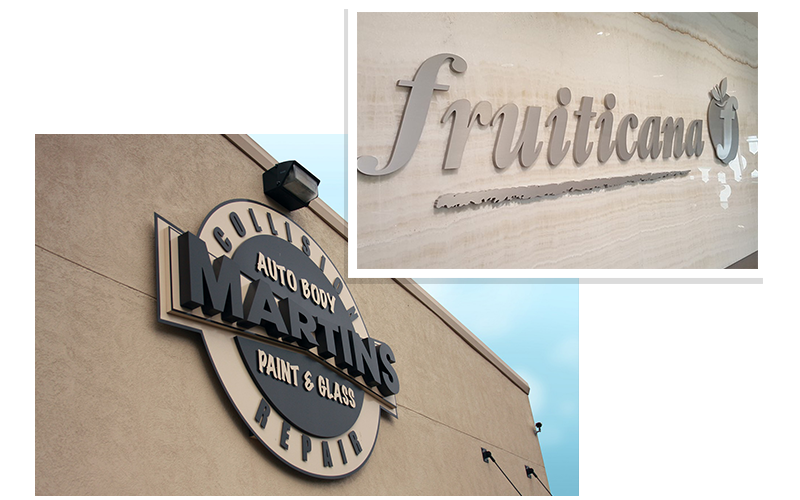 Your signage is an investment, and with any investment quality is almost always one of the top concerns of our clients. Every detail of our fabrication processes have been tested to ensure we are using the best product available for your application. All signs are made of CSA approved materials and Illuminated with energy efficient LED technology. All LED modules are tested and intended for exterior signage applications. Our experienced installers will install your channel letter efficiently and safely. Channel letters can be installed in various ways. Flush mounting installation method for channel letter provides clean look. The channel letters are drilled through the wall and all power packs are located behind the letters inside the building. Raceway features 2-3” deep fabricated aluminum panel that can be painted any solid color. This provides a highly dimensional, architectural look. The channel letters are mounted to the raceway, and the raceway is mounted to the wall. Pin mounting method is used with backlit channel letters to achieve the illuminated glow. Letters are installed using 2” pins drilled into the wall. LED lights assembled inside for a sophisticated halo effect backlighting onto the panel. Expert advice you can count on. Unique signage sometimes comes with unique challenges. 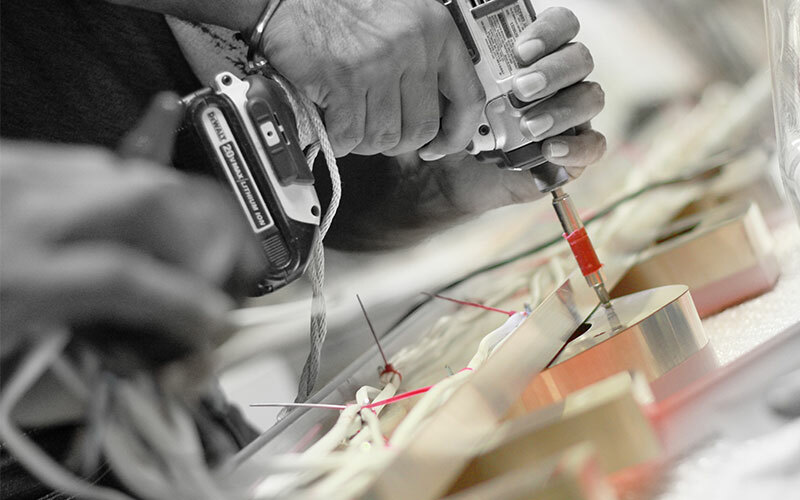 You can on our expert team of fabricators, installers, designers and sales team to guide you through the process. From our initial site visits, to the design process, our experience in the industry will ensure your signage comes through seemlessly. 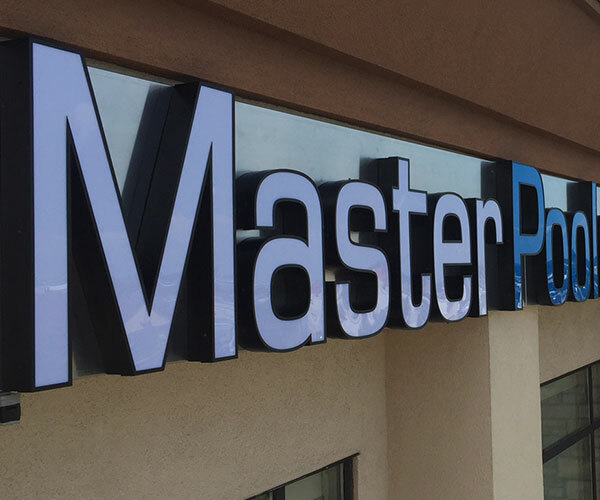 Channel letters are constructed of high quality materials & UL approved electric components. 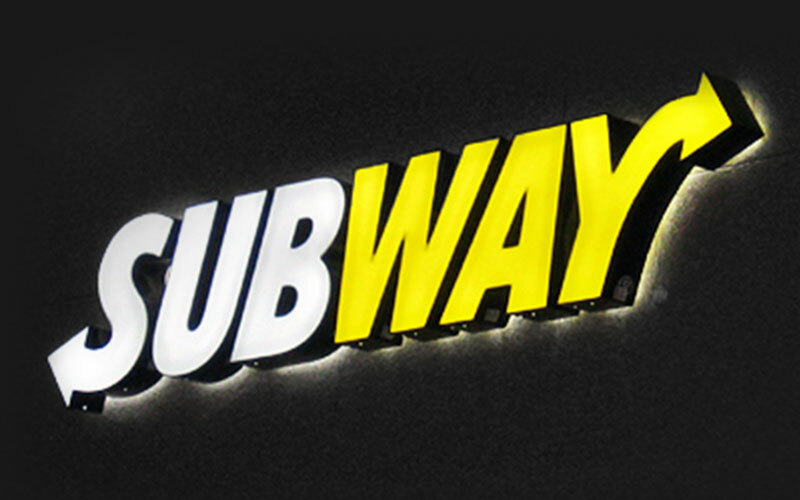 Illuminated channel letters are available in wide variety of styles and materials. Design your channel letters any way you want! With options from front lit, backlit and push through letters.